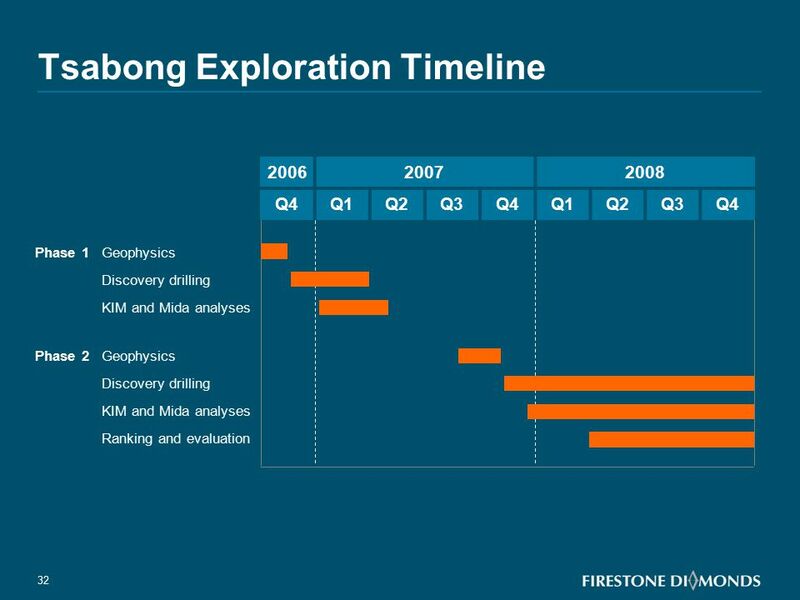 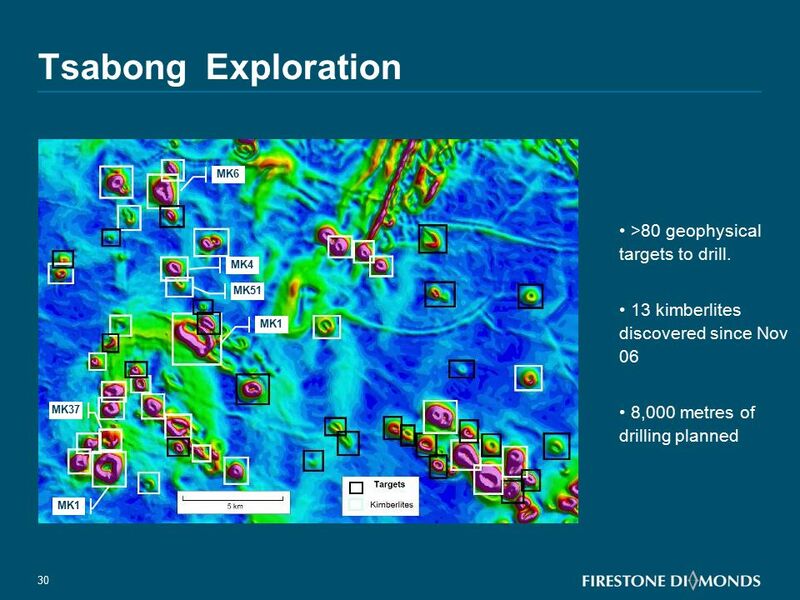 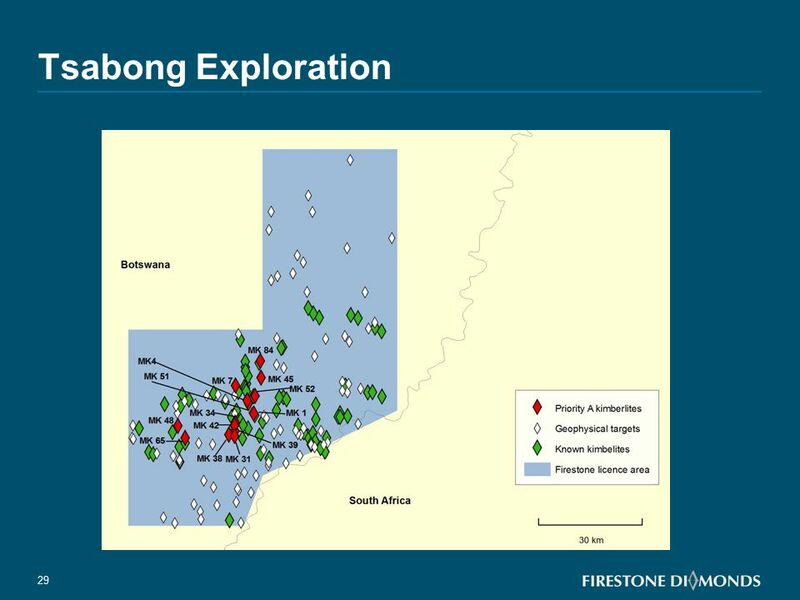 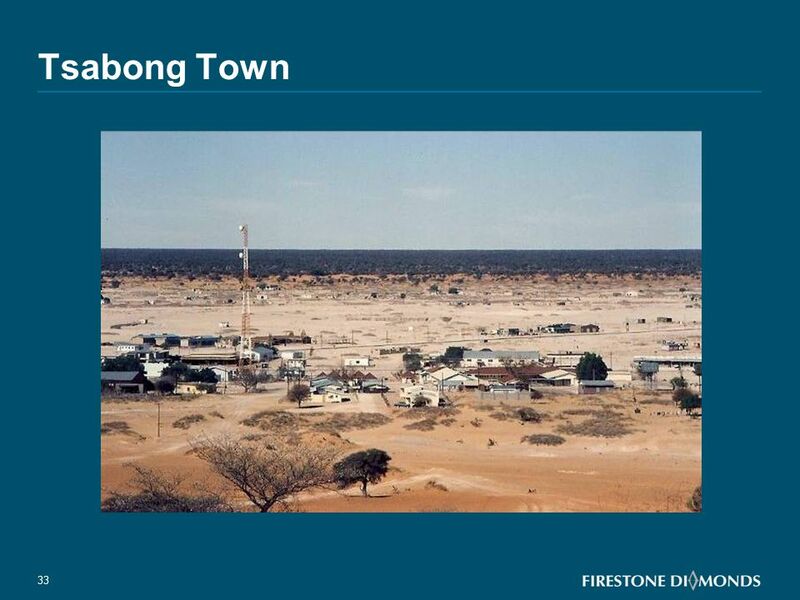 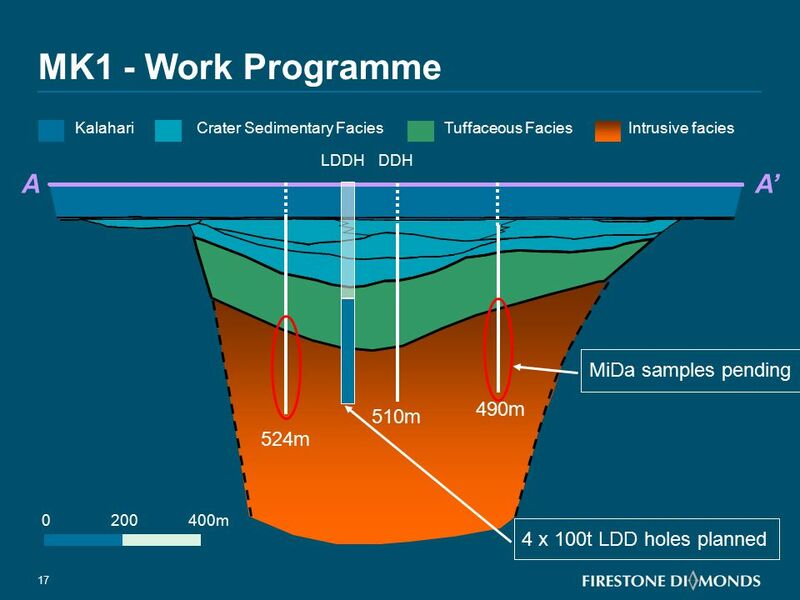 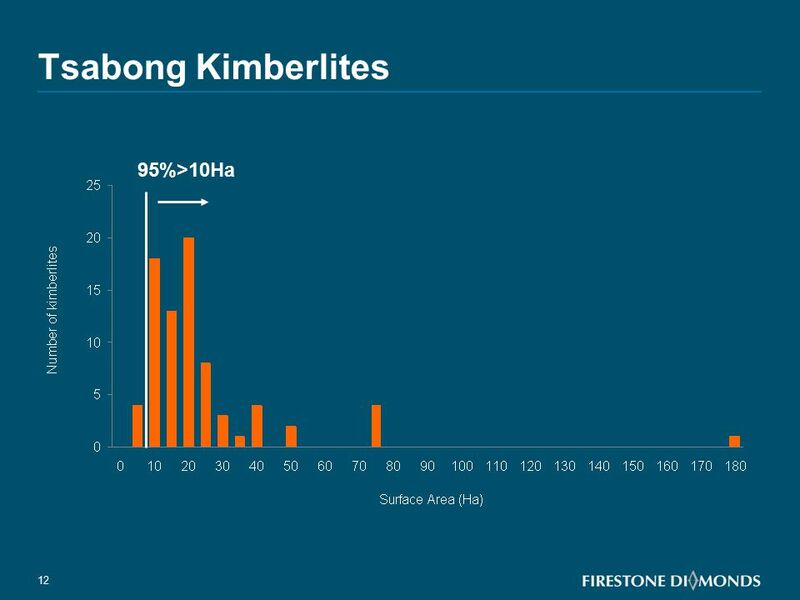 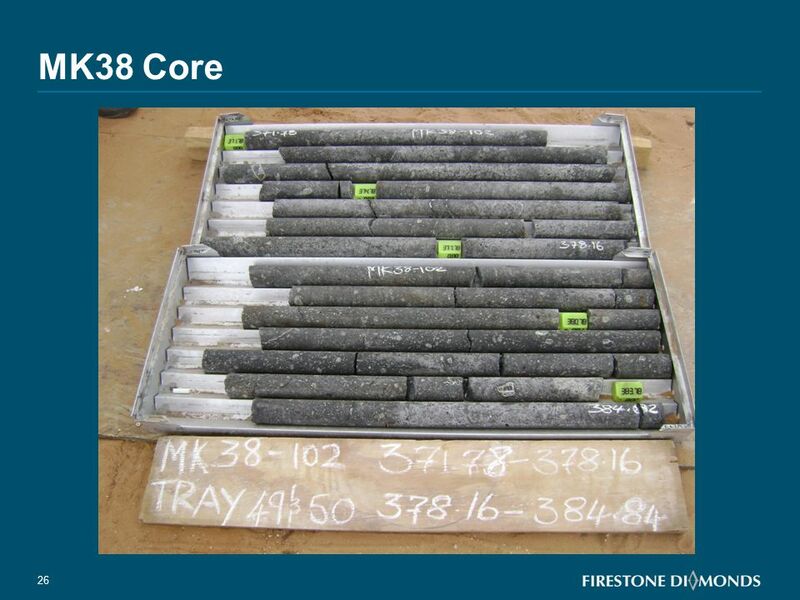 30 Tsabong Exploration >80 geophysical targets to drill. 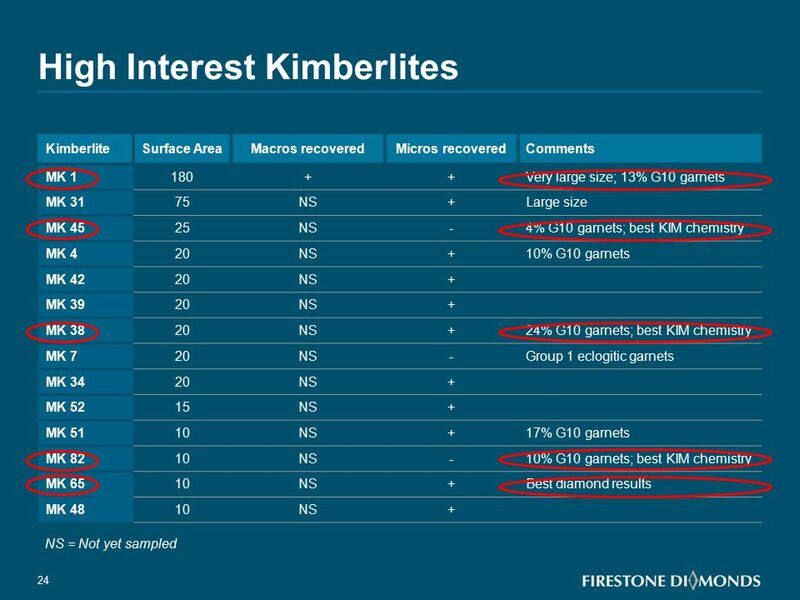 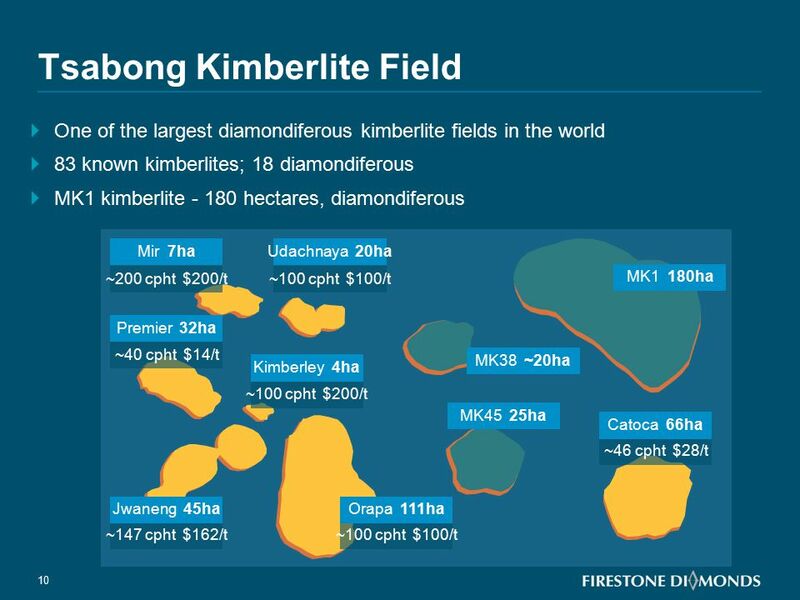 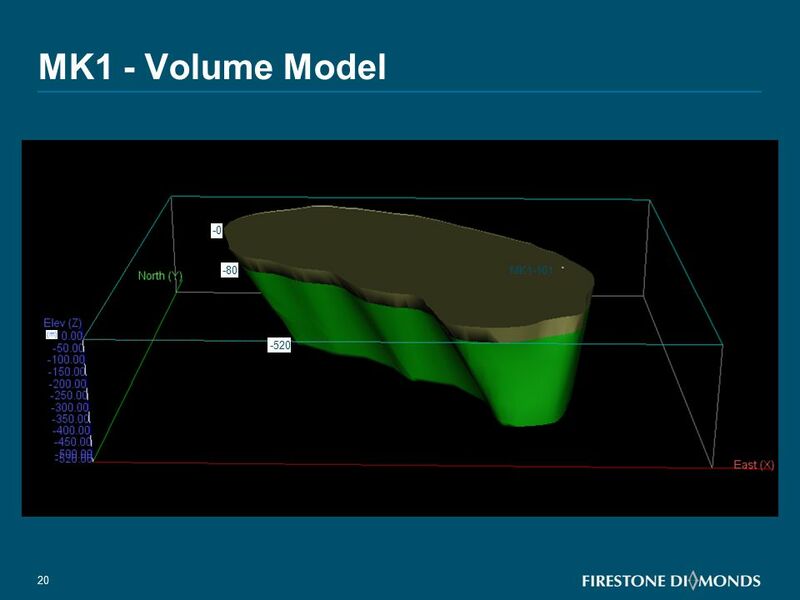 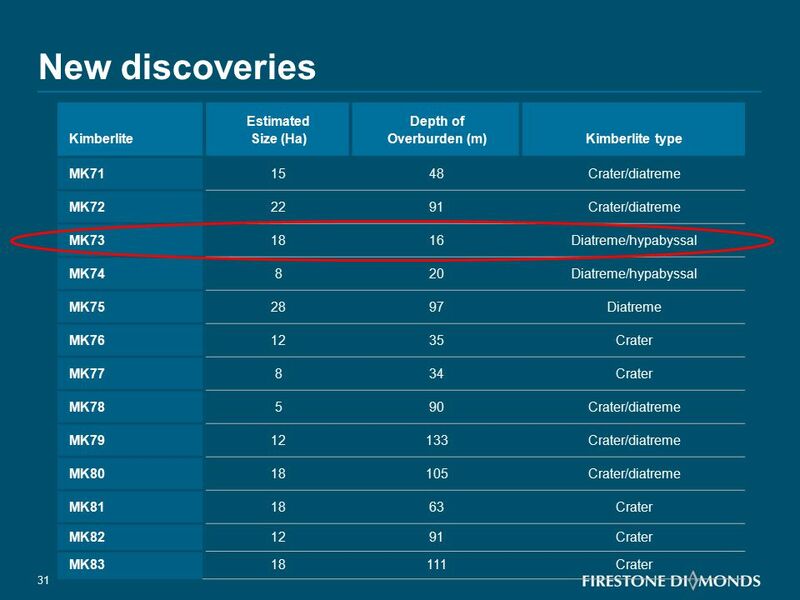 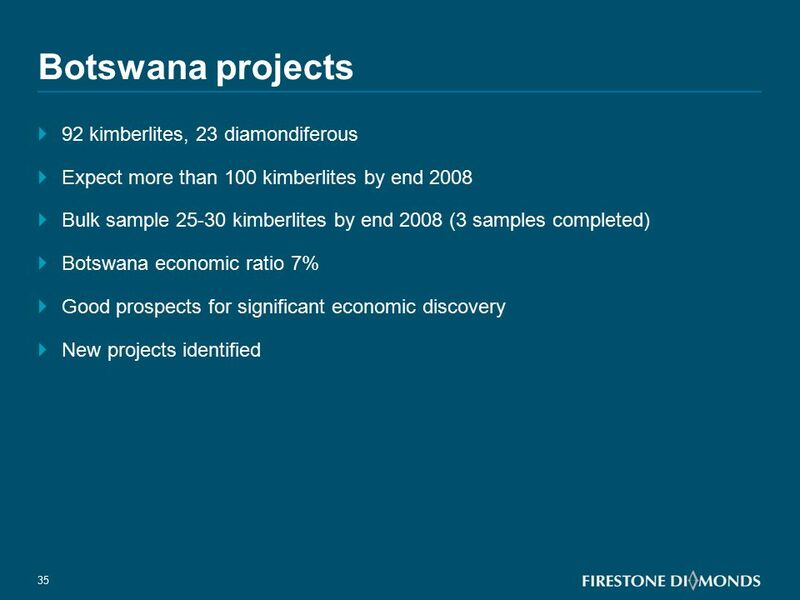 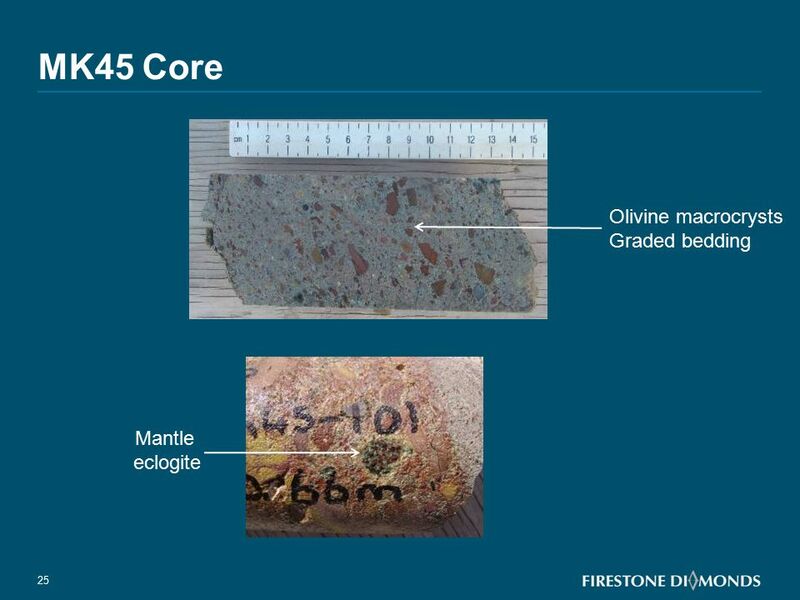 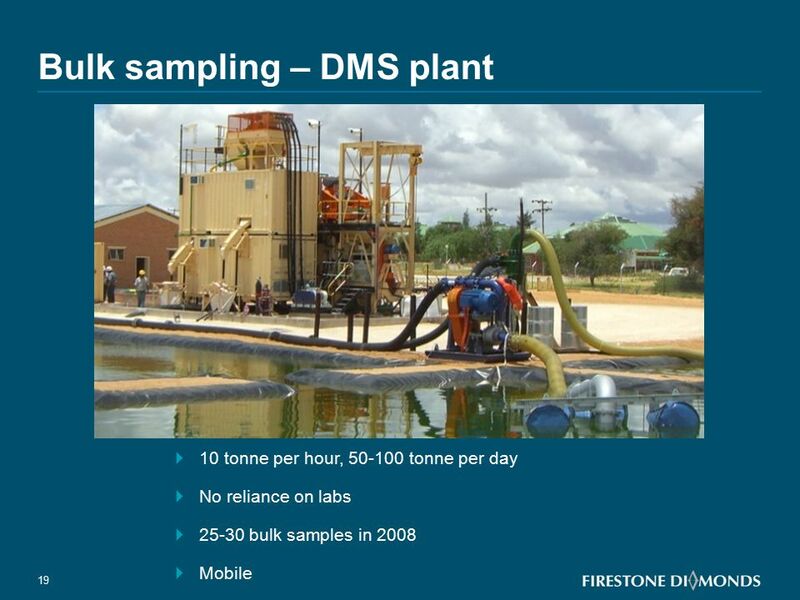 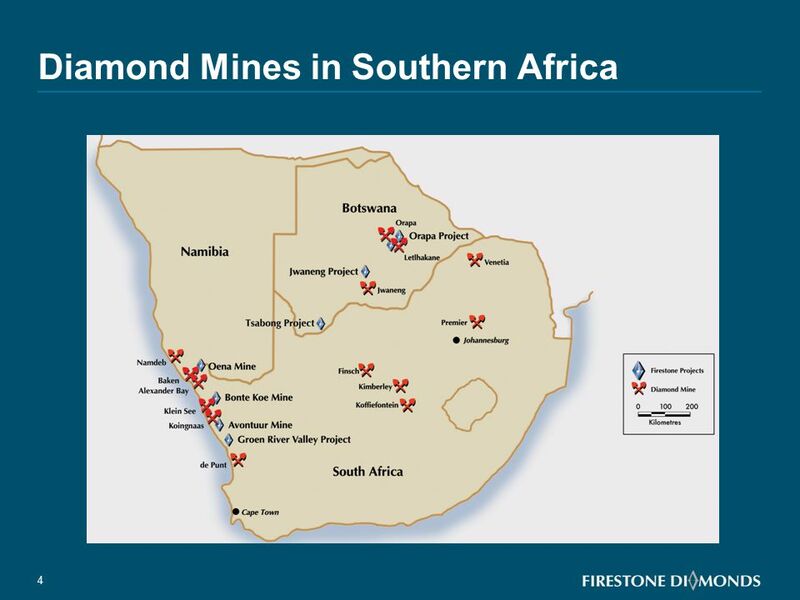 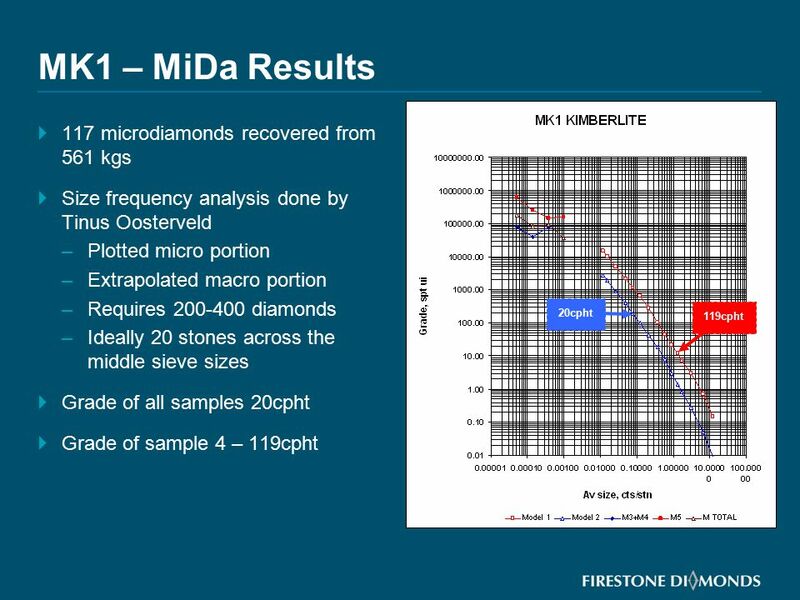 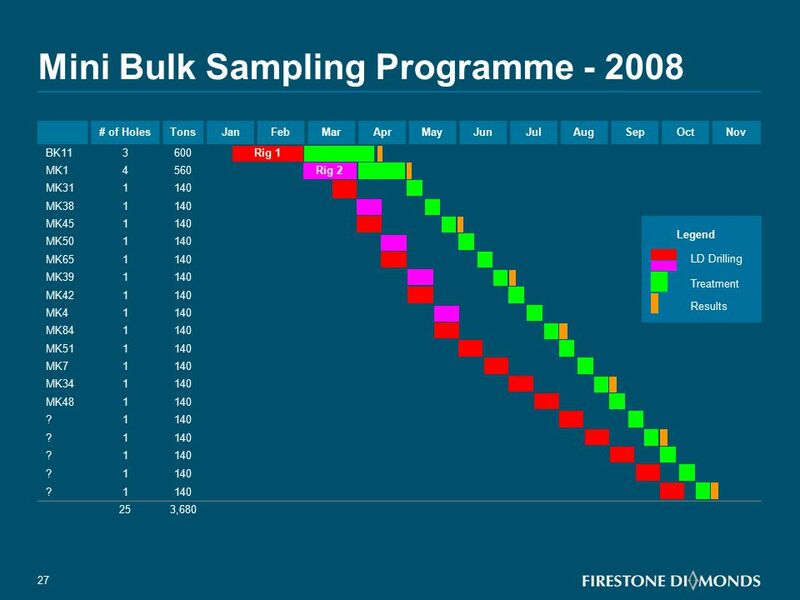 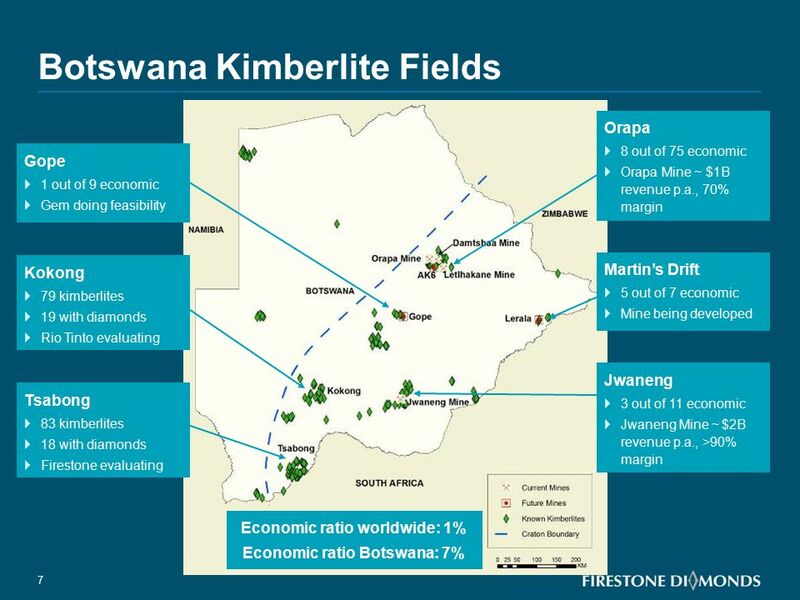 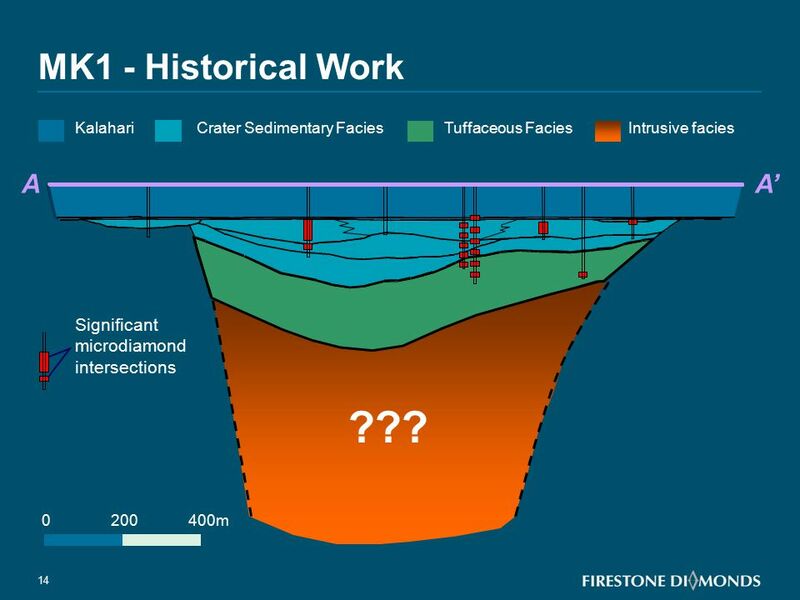 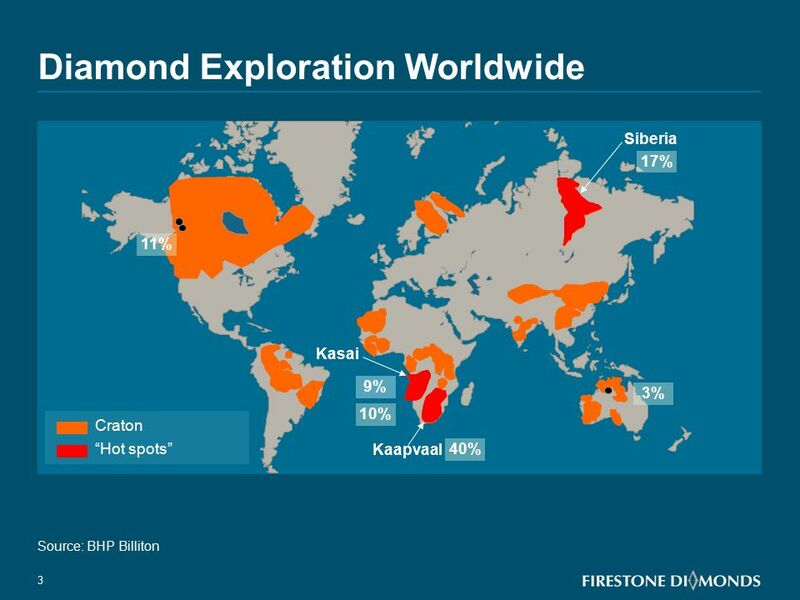 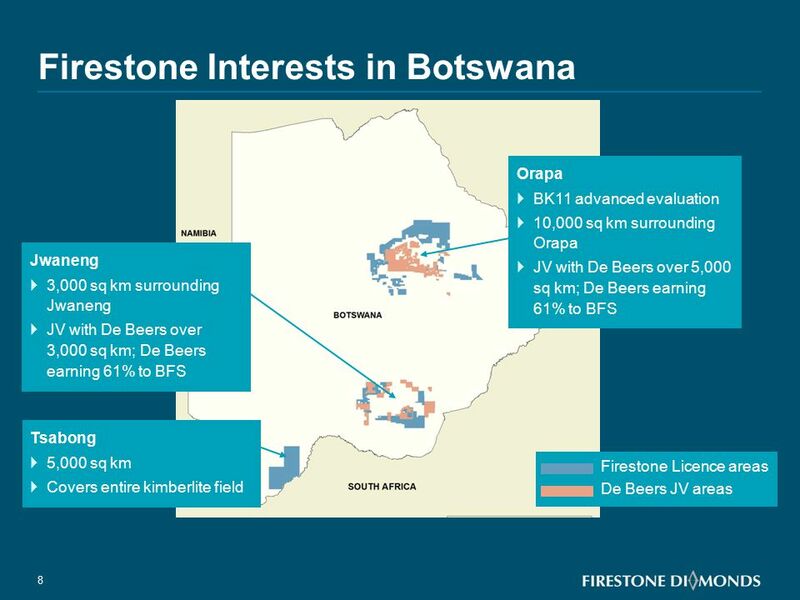 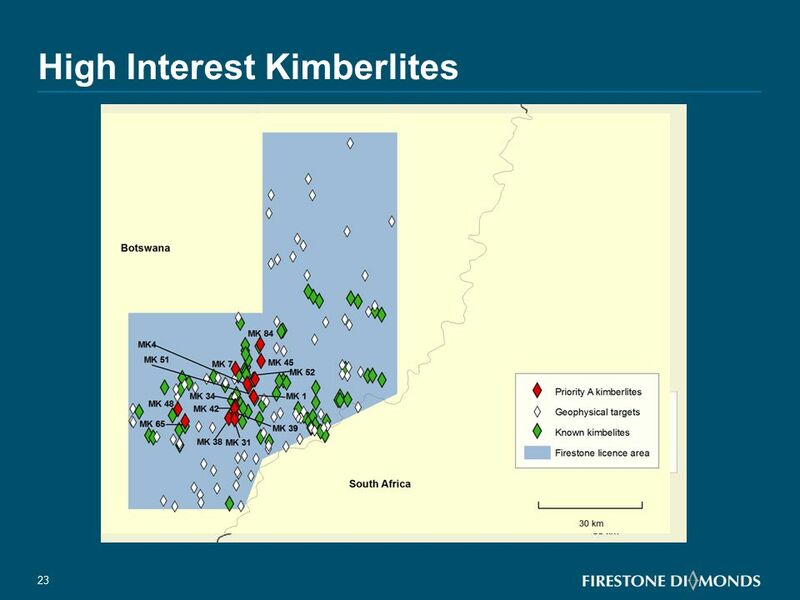 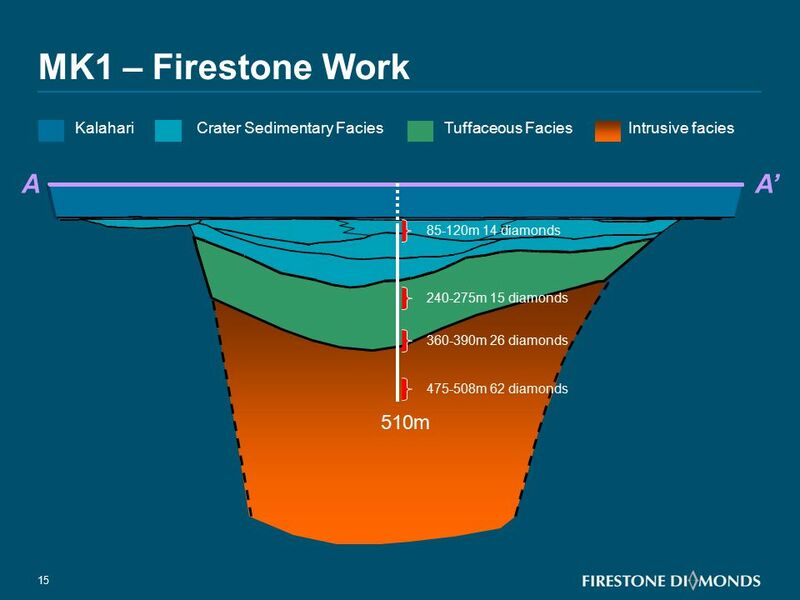 38 Disclaimer The information contained in this presentation ("Presentation") has been prepared by Firestone Diamonds plc (the "Company") and is being communicated for general background informational purposes only. 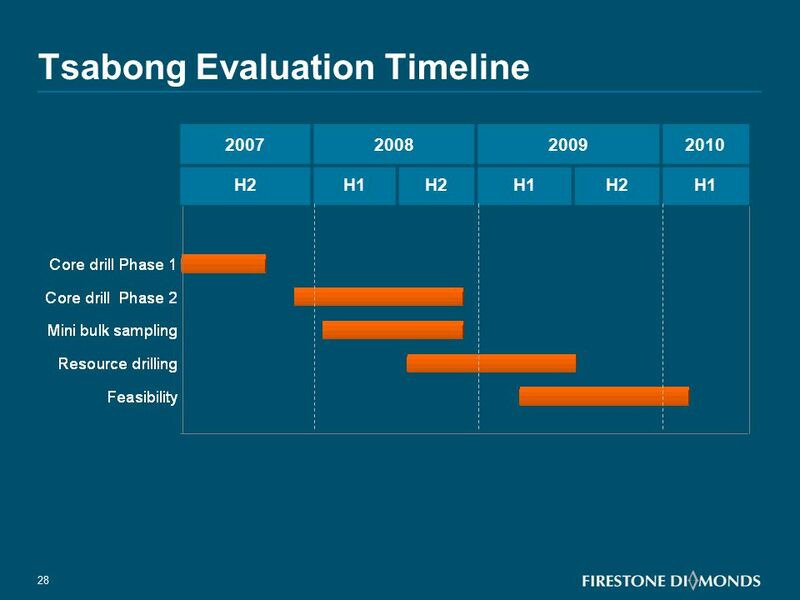 The Presentation has not been independently verified and the information contained within is subject to updating, completion, revision, verification and further amendment. 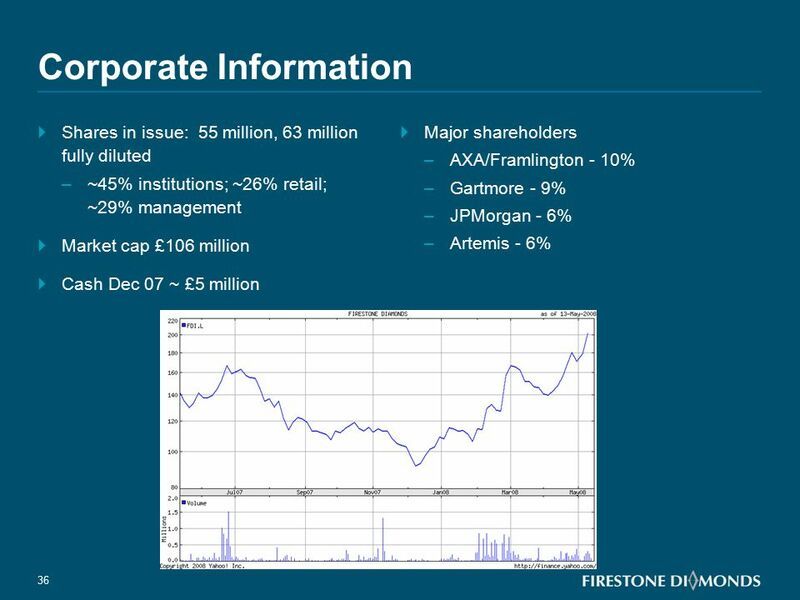 While the information contained herein has been prepared in good faith, neither the Company, nor its shareholders, directors, officers, agents, employees, or advisors give, has given or has authority to give, any representations or warranties (express or implied) as to, or in relation to, the accuracy, reliability or completeness of the information in this Presentation, or any revision thereof, or of any other written or oral information made or to be made available to any interested party or its advisers (all such information being referred to as "Information") and liability therefore is expressly disclaimed. 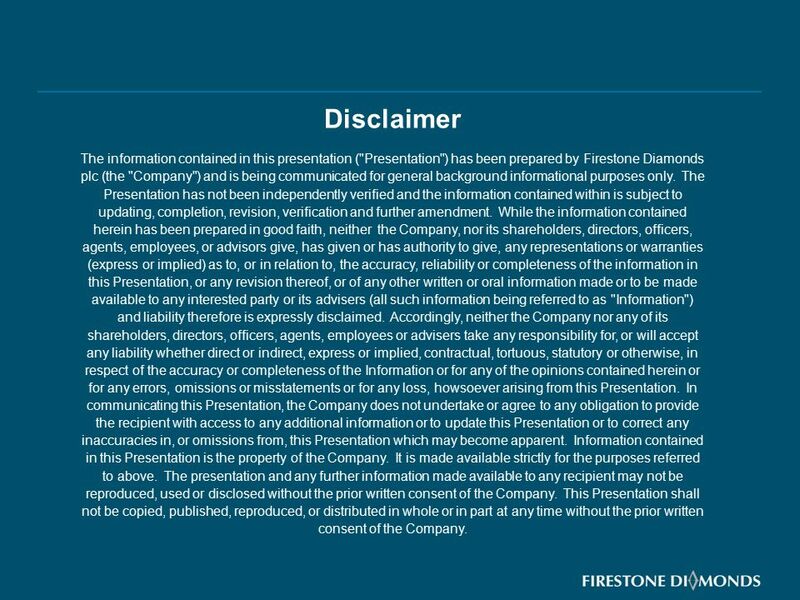 Accordingly, neither the Company nor any of its shareholders, directors, officers, agents, employees or advisers take any responsibility for, or will accept any liability whether direct or indirect, express or implied, contractual, tortuous, statutory or otherwise, in respect of the accuracy or completeness of the Information or for any of the opinions contained herein or for any errors, omissions or misstatements or for any loss, howsoever arising from this Presentation. 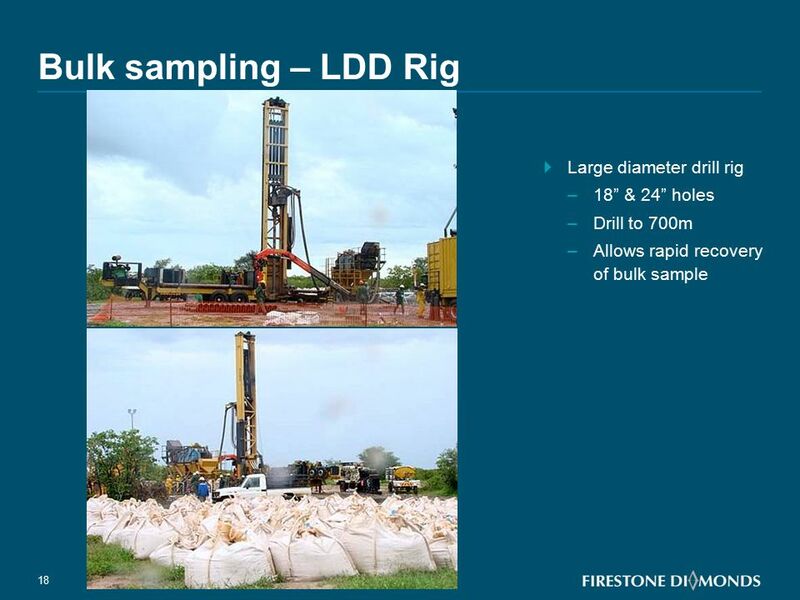 In communicating this Presentation, the Company does not undertake or agree to any obligation to provide the recipient with access to any additional information or to update this Presentation or to correct any inaccuracies in, or omissions from, this Presentation which may become apparent. 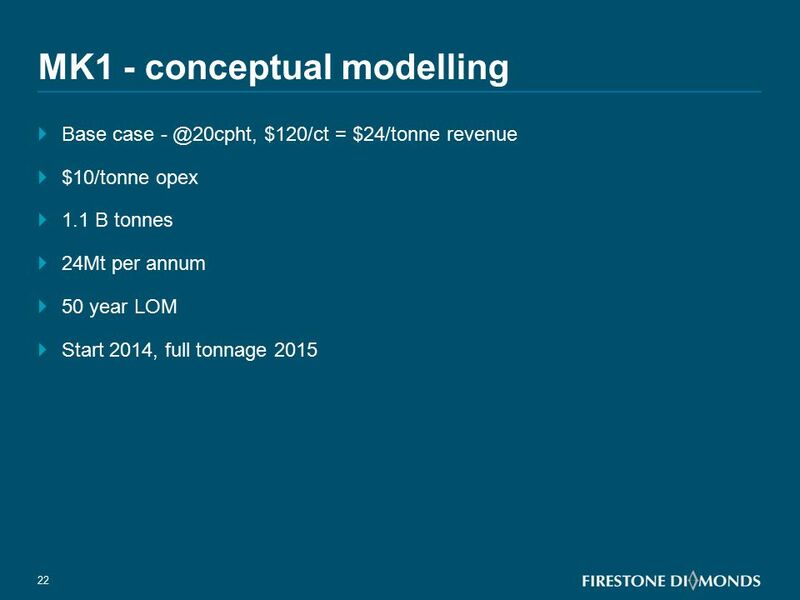 Information contained in this Presentation is the property of the Company. 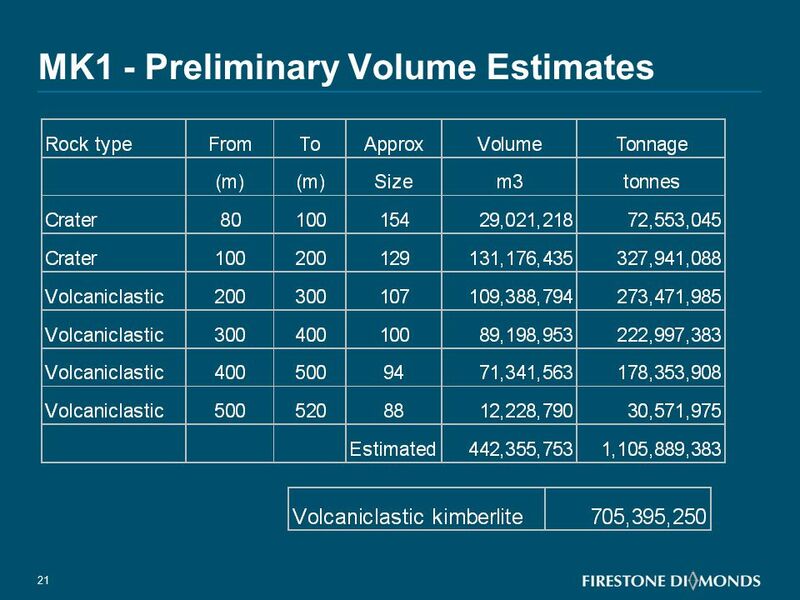 It is made available strictly for the purposes referred to above. 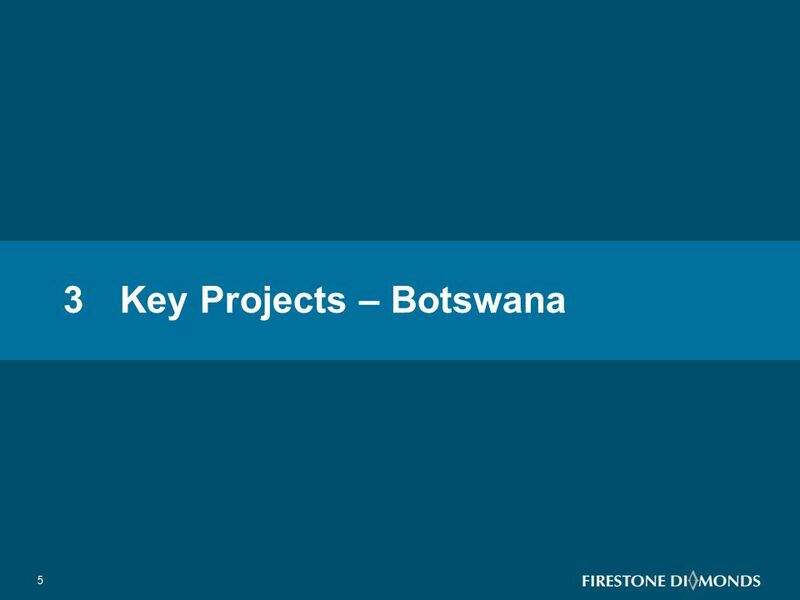 The presentation and any further information made available to any recipient may not be reproduced, used or disclosed without the prior written consent of the Company. 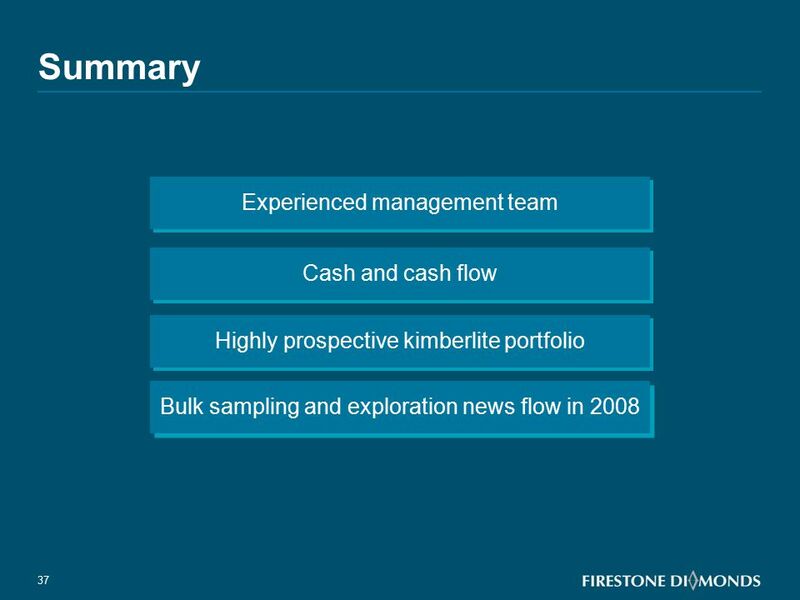 This Presentation shall not be copied, published, reproduced, or distributed in whole or in part at any time without the prior written consent of the Company. 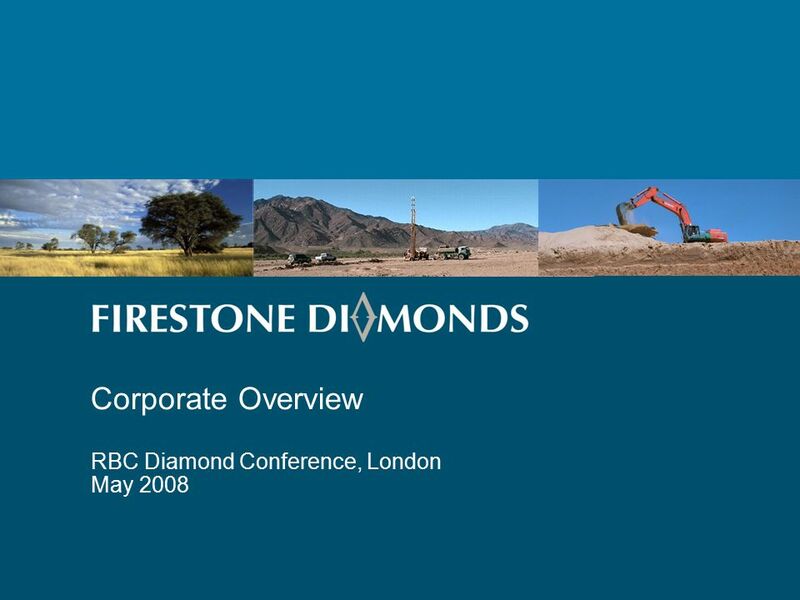 Download ppt "Topics 1 Company Background 2 Diamond Exploration Worldwide 3"
1 A New Force in the Canadian Diamond Industry RBC Diamond Conference London, May 15, 2008. 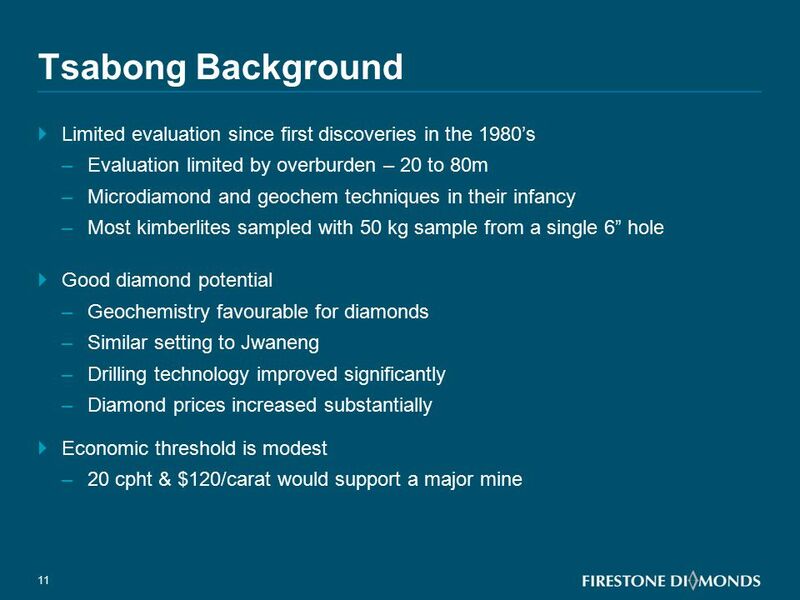 Taking Liqhobong to one million carats per year. 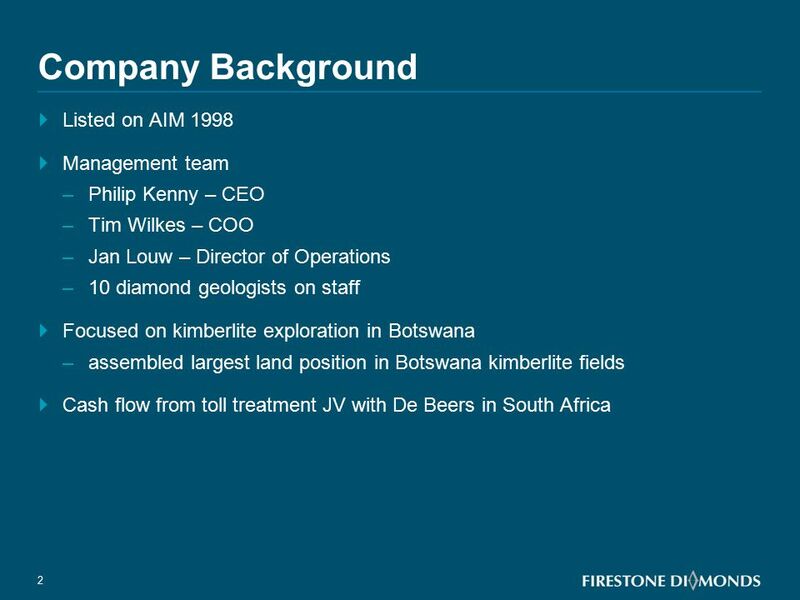 Disclaimer The information contained in this presentation (“Presentation”) has been prepared by Kopane. 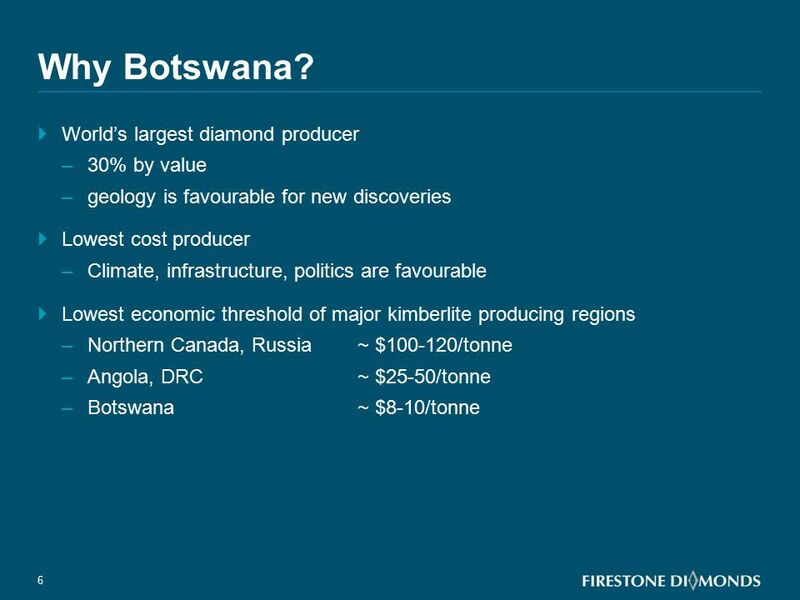 Capital Markets Diamond Conference 15 May 2009 Petra Diamonds Limited the international diamond mining group RBC Capital Markets Diamond Conference. 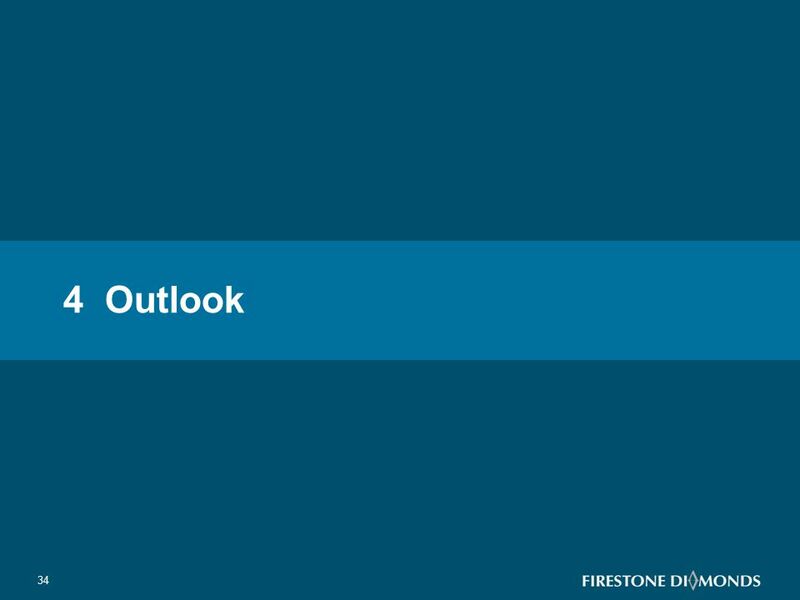 Single Family Housing Market Update Exploring New Single Family Financing ideas NCSHA 2014 Annual Conference Casey Biegelsen Director Barclays Capital. 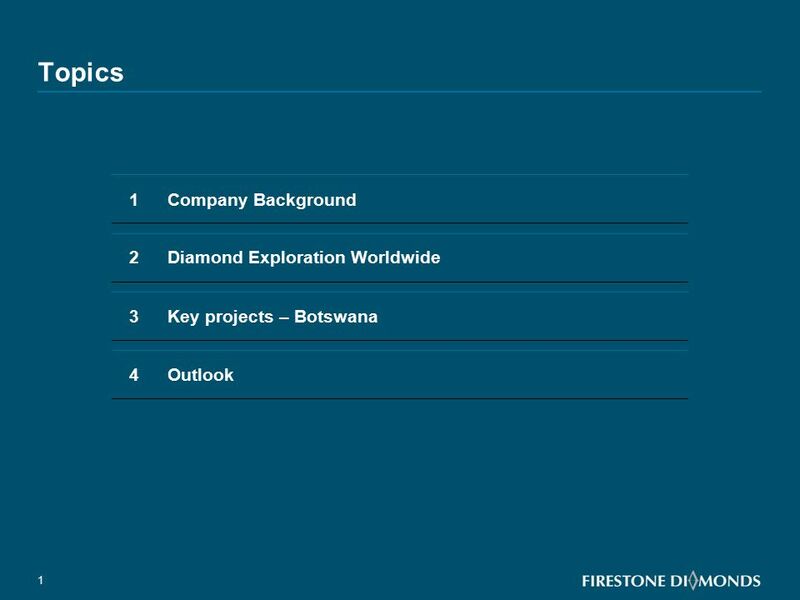 1 South America’s Largest Diamond Producer May 2008. 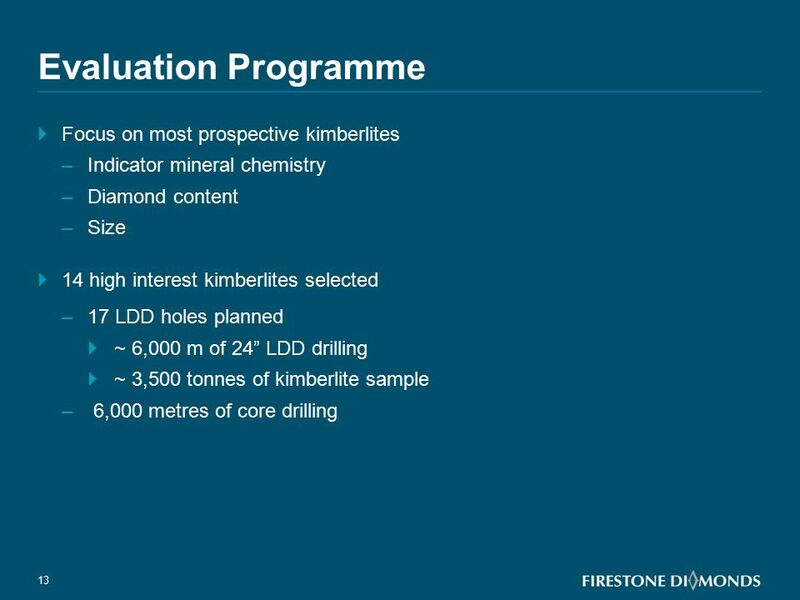 Yvonne Li President 4904 (TWSE) 2014 2Q Investor Update.